Hey, Lovelies! Can you believe the Fourth of July is already only a few weeks away? 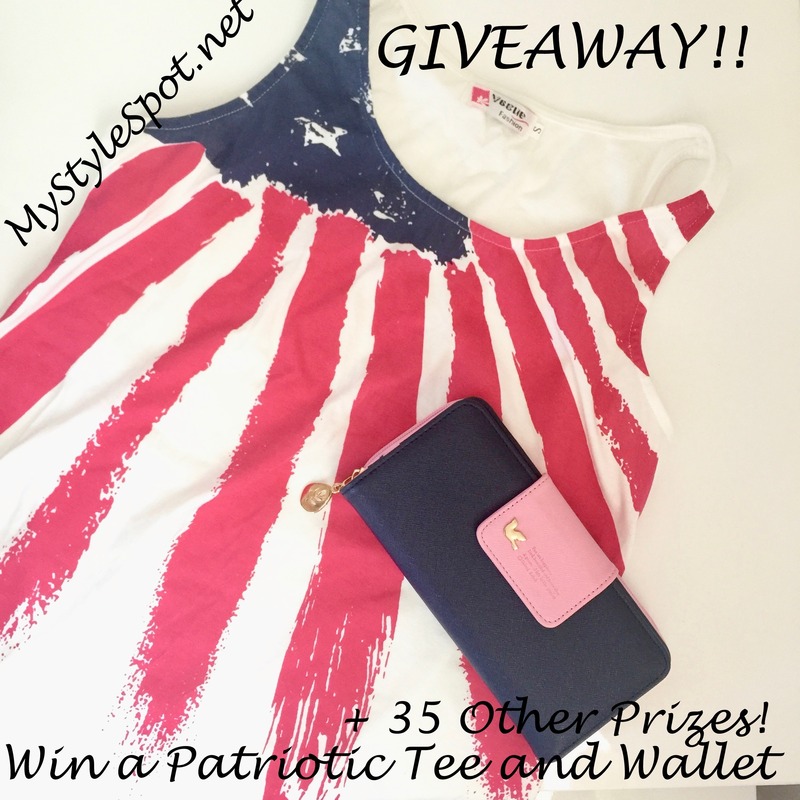 To celebrate the Holiday, I’m giving away this Super Cute Patriotic Tank Top and Wallet! ENTER TO WIN This Tank Top and Wallet in the Rafflecopter form below! 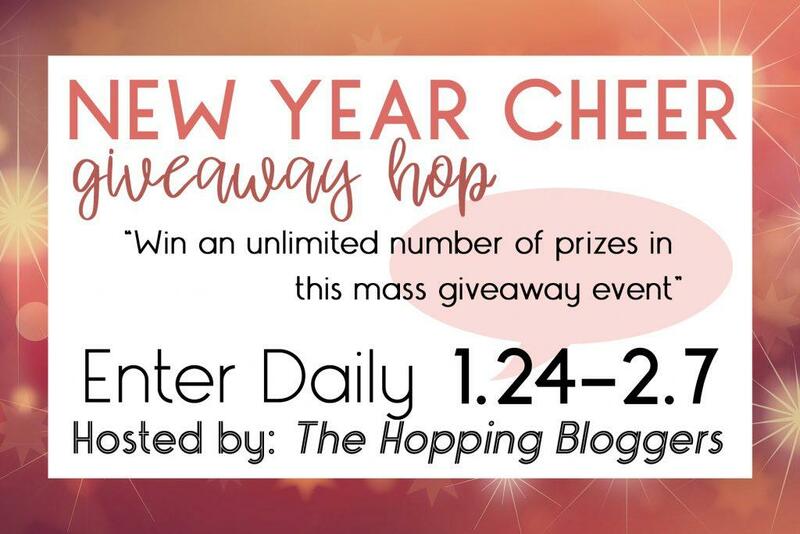 Also, don’t forget to Enter the “Storming into Giveaways” Blog Hop below and get entered to Win 35+ Other Prizes from some of my favorite bloggers! Awe… the weather is finally warming up, the flowers are starting to bloom, and the drab of winter is finally disappearing. I love how Spring always ushers in a lot of bright beautiful color that seems to make everything more cheery! 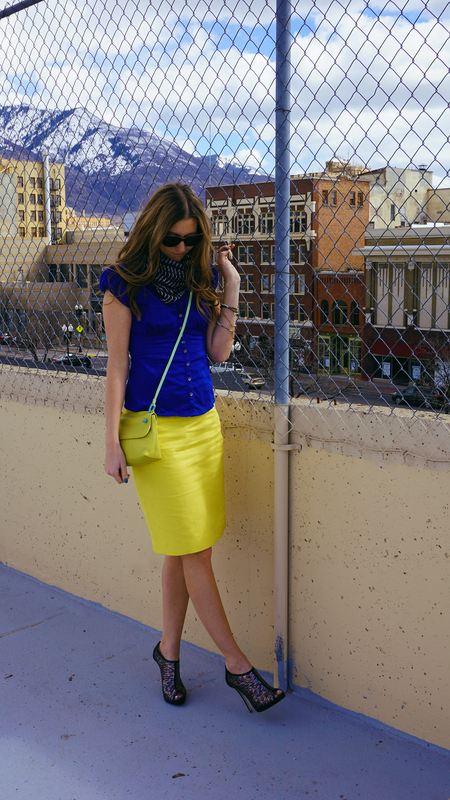 Fashion is no exception when it comes to the brightening up of Spring. I love when the runways start pouring in with playful, bold, vibrant colors I have missed so dearly during the cold winter months. If you happen to be out shopping with me, you will notice I almost always grativate towards color, even in the basics such as pants, tank tops, and jackets. In fact, it’s only been in the last few years I’ve really had to train myself to start picking up some neutrals to weave into my wardrobe a little better. I just automatically go to color! It’s no wonder then, that MyWalit totally caught my eye! Founded in 2005 in Lucca Italy, This amazing line of leather goods range in all sorts of bright, eye-catching color! This fabulous line of exquisite Italian leather handbags and wallets are made with creativity and color, and of course- FUN in mind! These beautiful practical bags not only look fabulous, but when you hold one of them in your hand… wow! It feels so… well… expensive! But that’s not at all what you will pay for one! MyWallit features a variety of lovely soft nappa calfskin leather as well as exquisite premium Japanese leather. Some of the leather goods you can find at MyWalit include tablet accessories, office accessories, business organizers, travel accessories, and a fun collection of leather items for men too! It’s not just handbags and wallets, although, that is what grabbed my gaze when it came to this innovative brand! They make all sorts of leather bags, clutches, and wallets with bold color combinations, I just haven’t seen anywhere else! These quality handbags have the coolest, creative, colorful details! Even the inside of the bag is gorgeous and truly unique, and contains even more color! 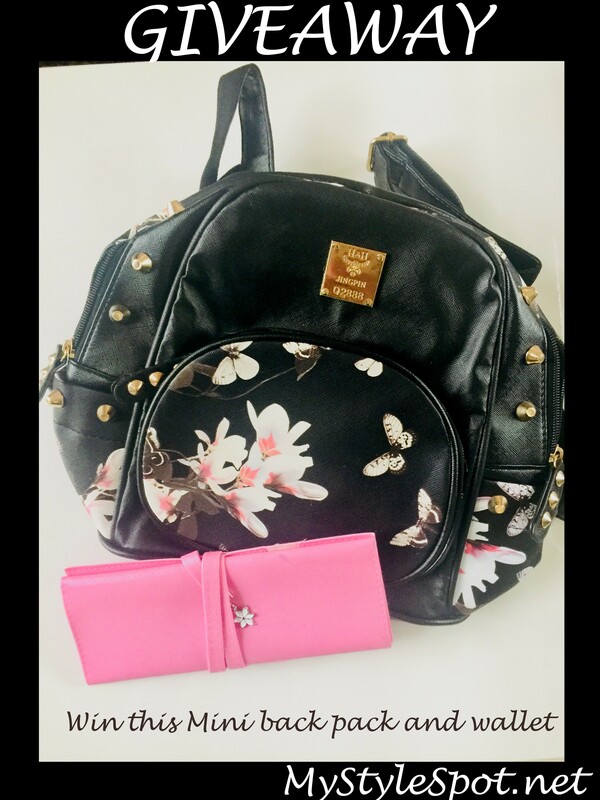 These products are also very high quality, and you can see the high attention to detail just by looking at one of these gorgeous bags and holding it in your hand! Each product by Mywalit is individually cut and hand stitched as well! What I love most about this international brand’s shopping site, is you can actually click on the “Colour” Tab and pick from bags from different color combinations! In fact, Mywalit is the original multi-color brand of quality leather handbags and small accessories throughout the entire world! It’s no wonder these beautiful handbags make such a statement! Some of my favorites are the Santorini, Berry Blast, and the Rio, which contain similar collections of color, including bright pinks, oranges, and yellows, like this Rio Flapover crossbody bag I got to try out for myself! Not only is this bag exceptional just by looking at it, but I love that the inside of it helps keep me super organized on the go too! My Rio Flapover has a nice zipper pocket on the inside to safely store my goodies and not have to worry about them falling out. I also get a nice inner pocket on the opposite side perfect for storing my phone. Even though this bag is on the smaller side, I can still stay super organized and of course – rock some serious colorful style- while wearing it! Speaking of rockin’ this exquisite leather bag in style, check out how I styled my Rio Flapover Crossbody bag from Mywalit- In COLOR of course!